I really need to get myself some better baking equipment. I bake far less often than I cook, so I’ve never really bothered to get much baking paraphernalia. 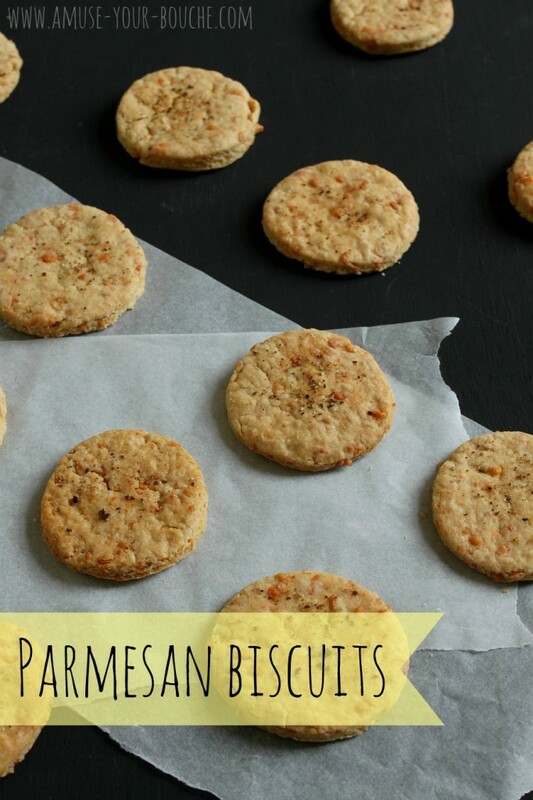 I hope you won’t judge me when I tell you that I rolled out these parmesan biscuits with a wine bottle, and cut out the circles with the top of a wine glass (I swear my kitchen isn’t only stocked for drinking wine… we have beer glasses too). This is another recipe from the cookbook I reviewed the other day (The Gate’s Easy Vegetarian Cookbook). In the book they serve these cheesy crackers with a simple goat’s cheese and basil pâté (basically just goat’s cheese and basil mixed with a dash of olive oil), but they were so tasty that they were all gone before I had a chance to make anything to go with them. They taste just like cheese straws! And considering I’m not the best baker in the world, I was pretty impressed with how flaky they were inside. You can see thin layers running all the way through them. Definitely a testament to a great recipe! 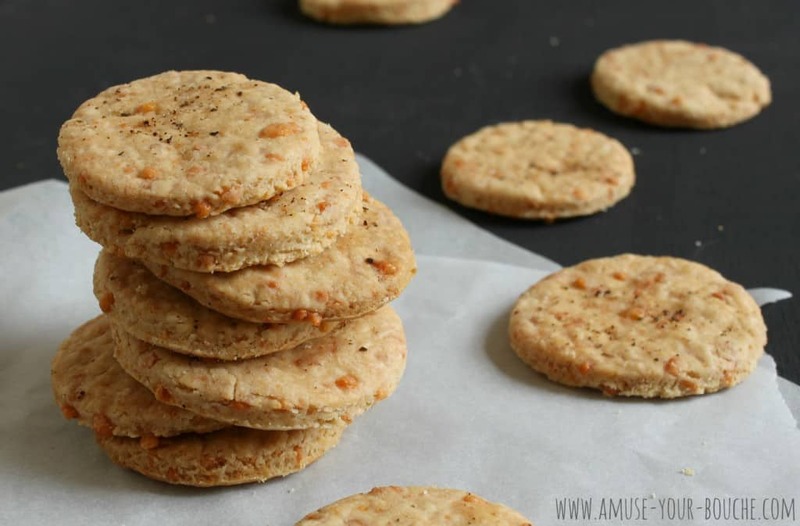 These parmesan biscuits would be perfect for a classy cocktail party (just in case hell freezes over and I ever have a cocktail party), with cheese and grapes and other tasty little bits like that. Or just eat them straight out of the tin, whatever you feel up to. But as with a lot of crackers, they might make you a bit thirsty, so make sure you have some wine handy. I definitely feel like this post has made me sound like an alcoholic. I’m not, I swear. Anyway, now’s the time you’ve been waiting for! My Swiss Diamond ended today. The winner is… (drumroll)… Tammy Tudor! Congratulations Tammy! And thank you to everyone else that entered. I have another giveaway coming up at the beginning of September so make sure you don’t go anywhere. Combine the flour and butter in a food processor until the mixture resembles breadcrumbs, then transfer the mixture to a large bowl. Add the grated parmesan, egg yolk, a generous pinch each of salt and pepper, and enough water to allow the mixture to come together into a dough. The original recipe suggests 1tbsp, but I needed 3tbsp, so just start with a little and add more if needed. Allow the pastry to rest for 1 hour. Roll out the pastry – you want it to be around half a centimetre thick. Use a pastry cutter to cut rounds (or other shapes!) out of the dough. Squeeze the excess dough back into a ball and repeat until you have used it all up – if there are any small scraps left over, just bake them anyway. Place the rounds on a lightly greased baking tray, and leave to rest for 20 minutes while you preheat the oven to 190°C (Gas Mark 5 / 375°F). When the oven is hot, bake the biscuits for 10-12 minutes (in fact mine took more like 20, so just keep an eye on them and remove them from the oven when they are golden brown). Transfer to a cooling rack and eat when cooled. If you’d like your own copy of Easy Vegetarian Cookbook, you can buy one off The Gate’s website. Hi Becca, these look great. Do you have any recommendations for the vegetarian-friendly parmesan alternative? Thanks Becca. Frustratingly I’ve often found that cheese packaging in general makes no reference to whether they’re vegetarian friendly or not, so I err on the side of caution. I’ll look harder! I have edited the recipe :) thanks for spotting that. These look fabulous! I could eat so many of these! Yum! 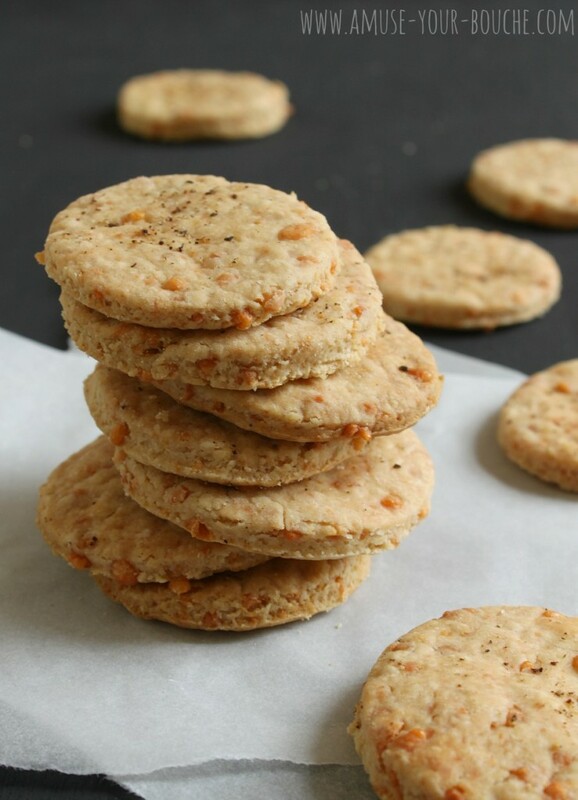 what could be better cheese IN a biscuit. Pahaha, I actually laughed when you said you’d used a wine bottle as baking paraphernalia. I used something very similar before i invested in some good stuff! These look really nice though, I’m totally gonna make these for my birthday party next week. My husband loves making cheese straws (in fact, he sneakily ate the last of this weekend’s batch last night, grrr!) and I’m pretty sure we’d both love eating these. 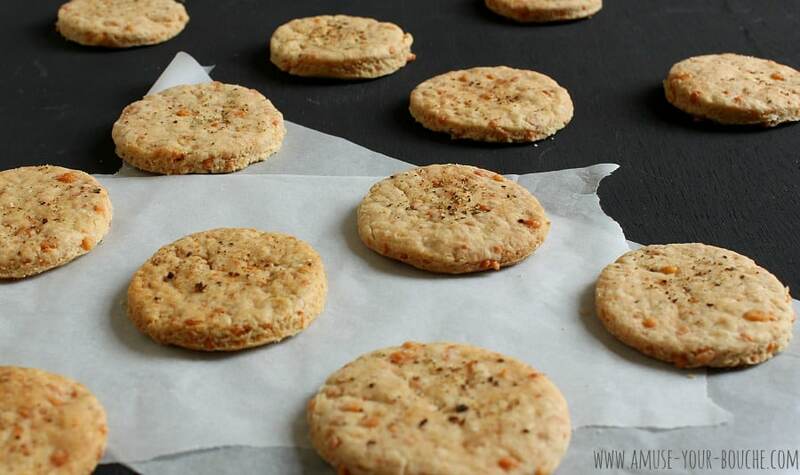 These biscuits would be so perfect for a party with some goat cheese spread..yumm. mmmm i’d love to try these!